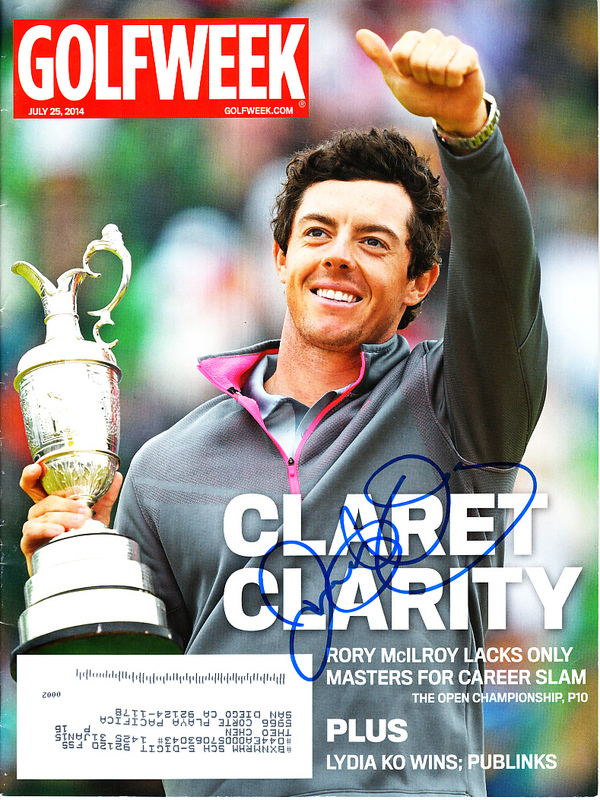 Complete 2014 Golfweek magazine autographed in blue marker on the cover by British Open winner Rory McIlroy. Has minor handling flaws. 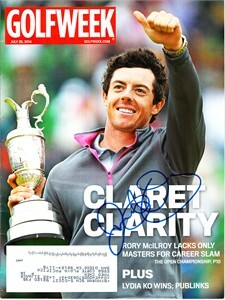 Obtained in person at Southern California PGA Tour event, with certificate of authenticity from AutographsForSale.com. ONLY ONE AVAILABLE FOR SALE.